This past month has been a series of ups and downs and the heat didnt make it any easier. This heat wave makes me go hyper and I hate it. I have decided I am going to settle in a city where its chilly cold all the time. 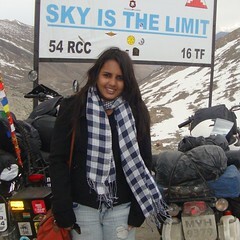 I had rather be shivering non stop than sweating non stop! Moving over to some good parts of this month, I finally got over one of the biggest fears of my life and I am so proud of it. It was like a birthday gift for myself. Two years ago, I wouldn't have even thought about it. That reminds me, I had my birthday two weeks ago and it was amazing, by amazing I am actually referring to the delicious chocolate almond cake! Though birthdays always remind me of the people I have lost. They always used to call me at 6 in the morning because they just couldn't hold the excitement. Its been years since they passed away but I still wake up early morning and check my phone, and that's how each one of my birthdays start on a depressing note. But I am sure wherever they are, they are looking down at me and smiling. I am sure. Happy Birthday Ritika and yes life is an important journey where you ought to know your destination or at least imagine it and feel it. We can't reach a place which we have not thought about. Do have a life plan and you will get a road map which will keep you on your toes and boost your morale too. 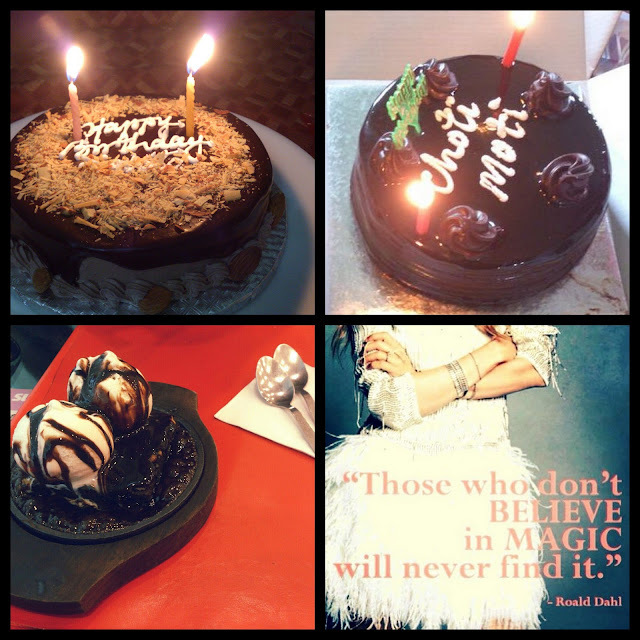 anyways yummy cake .. *drooling* :D..
And yes.. believe in the words of that last pic... unless you do, you cant see the possibilities that lie in front of you. Life will always have ups and downs. The point is to remember that after every down there is a up waiting to happen. Good luck and stay happy.